1. 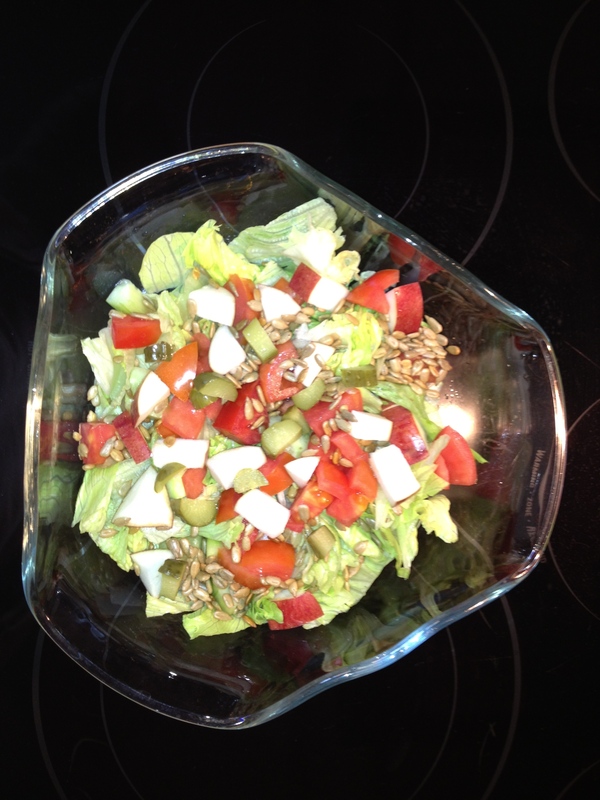 In a large bowl, mix together the apples, sunflower seeds, lettuce, pickles and tomato. Pour dressing on top, toss and enjoy! Thank you Glyn, I was in salad rut and literally just looked in the fridge and chopped away!